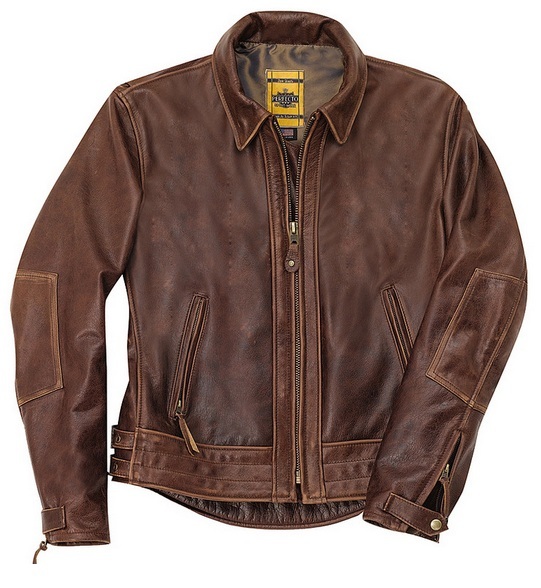 Brown is the new black… For those of you that like a heavy and rugged yet soft and supple leather jacket, this 585 Vintage Motorcycle Jacket from Schott NYC is for you. It’s made of antique brown cowhide leather with double-buckle straps at side hems, bi-swing back and underarm footballs, padded front hem and kidney back extension, snap tabs over zipper sleeve vents and satin lining. Was that a run-on sentence? Maybe so… but what else can you do with all of the features and benefits of this beautiful piece? Union Made in the U.S.A by LOCAL 169 of WORKERS UNITED A/W SEIU. Get it here for $660.00.